Complex geometry and intricately shaped devices can be made using additive manufacturing. Additive manufacturing allows lattice structures to be produced, with the specific geometry of each unit cell chosen among various designs, from regular to highly randomized patterns. Furthermore, the elastic modulus of devices can be tailor-made by engineering specific porous structures. Additive manufacturing allows the possibility to combine porous with solid materials into one piece. Porous structure can be manufactured with similar effort as the internal or the external surface of a component. Conversely, porosity can be created inside the part if necessary, leaving only the outside of the component to be fully solid. During the research and development phase, additive manufacturing technology allows real product pieces to be tested. It also allows the feasibility for serial production and likely costs to be evaluated. Design changes can be made simply by re-engineering computer-aided design (CAD) files. Once the design has been settled on, manufacturing the implantable parts can begin. From custom-made to small-size batches or even mass production, a competitive miscellaneous range of items can be ready in just a few working days by using additive manufacturing technology. 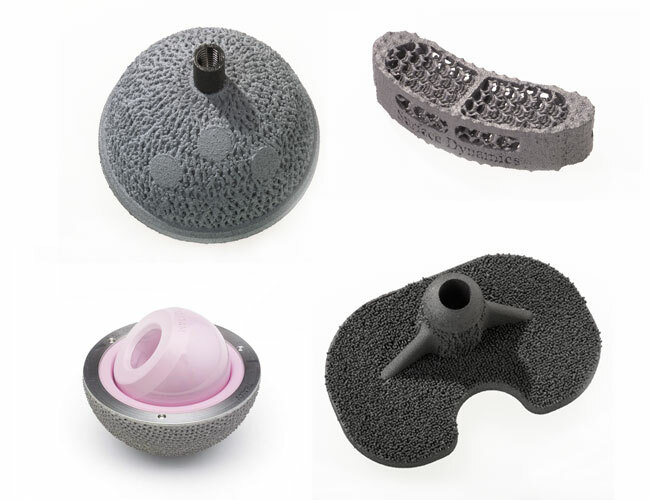 Additive manufacturing technology is currently used for manufacturing both standard and custom-made medical devices to be clinically implanted. After determining your 3D design with our manufacturing expertise, you can decide long you need to use our process flow and, if you would like to benefit from our one-stop shop service. If you would like us to help manufacture your products, we can take care of all the post processing – from machining, smoothing, lapping, and final cleaning and policing – producing the part for the final use.